All the time I spend on social media does amount to something! 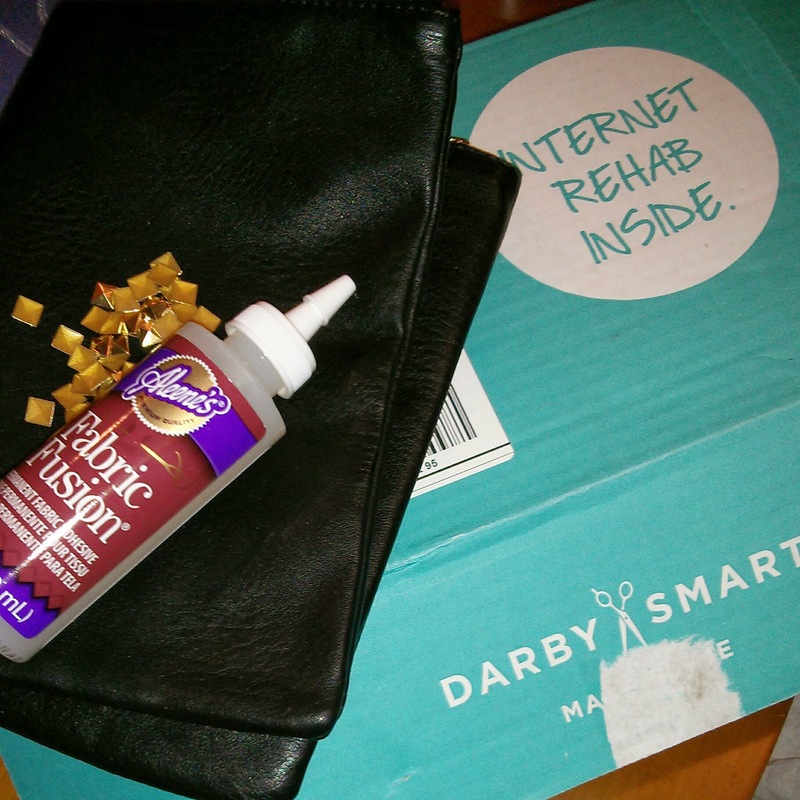 Last month, I received the Darby Smart Studded Clutch DIY via a Klout perk. It's the perfect solution for a lazy crafter such as myself. The heart is willing but the body not so much. I usually start off totally geeked about starting a new project then I lose steam when I realize I have to go to the store to buy supplies. That's why Darby Smart is so special. It's a complete DIY in a box. Everything you need is there. My kit included the clutch, studs, glue and instructions. 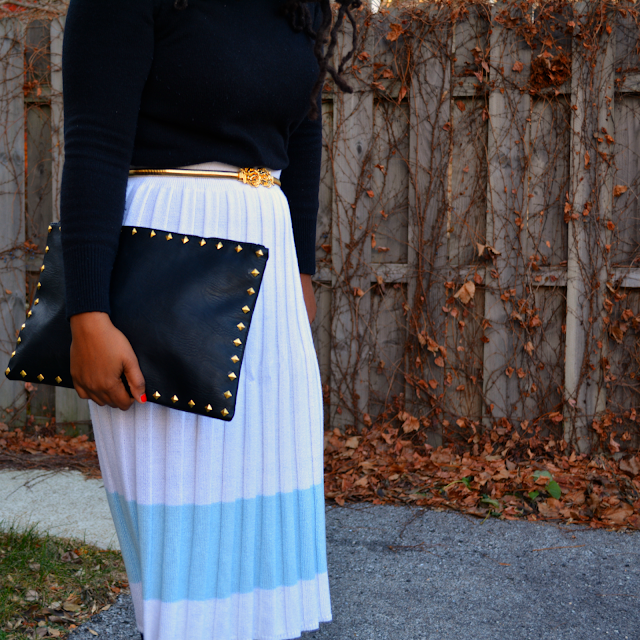 While V napped, I was able to knock out a cute DIY studded clutch! The hard part was deciding on a pattern. Once I stopped over thinking it, I went with a simple design that I could just eyeball for even spacing -- my favorite way to measure. I dabbed a little glue to the stud and pressed it into the clutch. It was quite relaxing and once it was dry, I had a brand new bag for my collection. If you're thinking about holiday gifts, a Darby Smart box would make a nice gift to give and it's also perfect if you're into giving diy gifts. The homemade chai tea would look great in the Holiday Jars. My absolute favorites are the Statement Stack bracelet, the Etched Champagne flutes, and the Ring Dish group DIY project. Who doesn't love to DIY with friends over a bottle of wine? 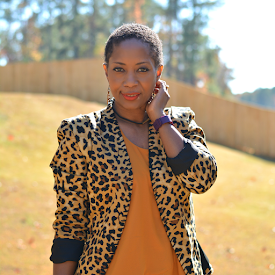 If you'd like to give Darby Smart a try, use code yaydarbylove20 at checkout for a 20% discount through December 18th. Happy DIY-ing! Have you tried Darby Smart? What's your favorite Klout perk? If you're not already familiar with Klout, it's basically a point system measuring your influence. I'm not so sure I believe in their methodology but lately I've received some fantastic perks aka free stuff! Woot! Woot! As a lover of free, it's totally worth it if you spend a chunk of time online. This was one of the best perks ever! 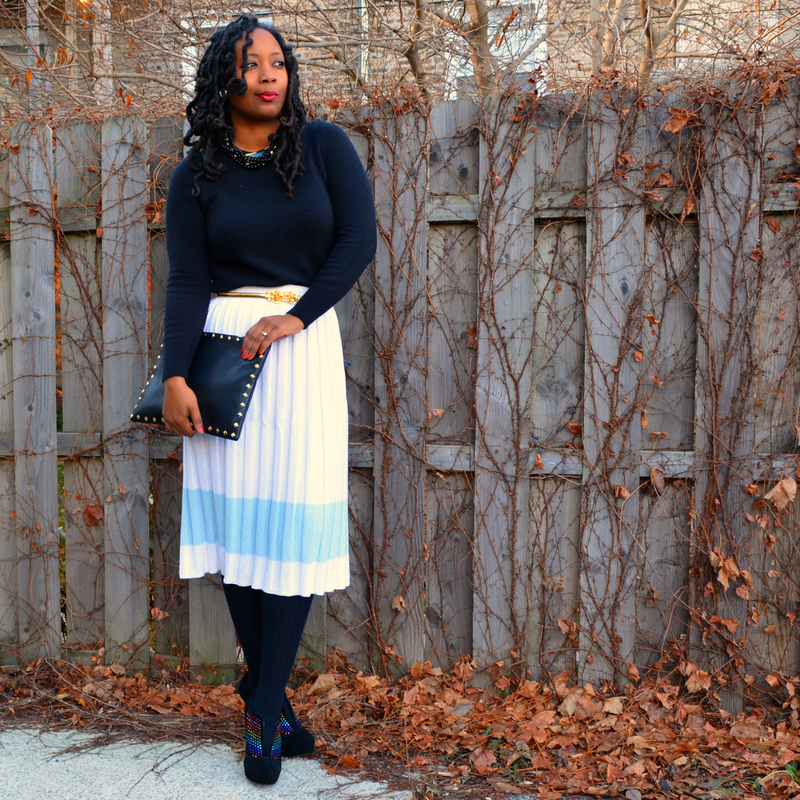 Love your skirt, and the clutch is FAB! Your bag is awesome! I love a good DIY.